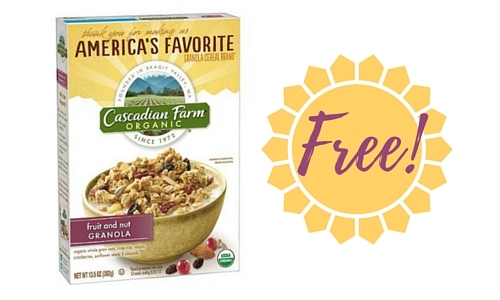 Home > Printable Coupons > Cereal Coupons > Cascadian Farm Coupon | Free Granola! Cascadian Farm Coupon | Free Granola! Head to Publix this week to grab FREE granola! Print out this Cascadian Farm coupon and use a SavingStar offer to get this freebie. like getting it completely FREE! This offer is valid through 7/20.